Physician Assistants are licensed health care professionals trained in the same format as physicians. The training is roughly two-thirds the length of medical school with over 100 weeks of general primary care education. The average physician assistant has a bachelor’s degree and four and a half years of health care experience prior to entering a PA program. For more information about "what is a PA? ", please click here. PAs are licensed by each state to practice and must take a national certification exam given by the National Commission for the Certification of PAs (NCCPA). Each hospital board then credentials the PA for specific practice privileges. So, oncology PAs are able to work anywhere the supervising surgeon has practice privileges. Visit the NCCPA for more information. ADVANCED PRACTITIONER CERTIFICATE PROGRAMS NOW AVAILABLE! 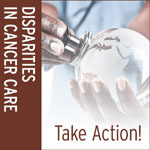 Disparities in cancer care program information is now available. Click here to access more information. Please review this special offer from ASCO for the SEP. 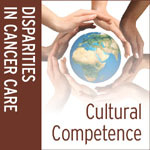 This is an excellent review of oncology for all levels and offers over 40 hours of CME. They have reduced the price by 35% for PAs through negotiations with the APAO. Below is some information about the "Focus Under Forty" initiative which is co-sponsored by ASCO, Livestrong, and APAO. Click on the icons below to access the online curriculum. As part of the special partnership between ASCO, the American Academy of Physician Assistants, and the Association of Physician Assistants in Oncology, physician assistants are eligible for special pricing on ASCO-SEP® products. 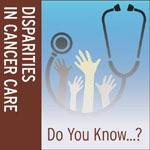 For more information, contact ASCO Customer Service at 888-273-3508 or email [email protected]. Verification of Physician Assistant status is required. Discount cannot be combined with any other offers. 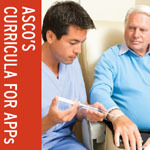 In collaboration with Oncology Nursing Society (ONS) and American Society of Hematology (ASH), APAO has created course content for the Post Master's Foundation in Hematology Online Course. APAO members receive a discount on course fees. Click Here to access course information.